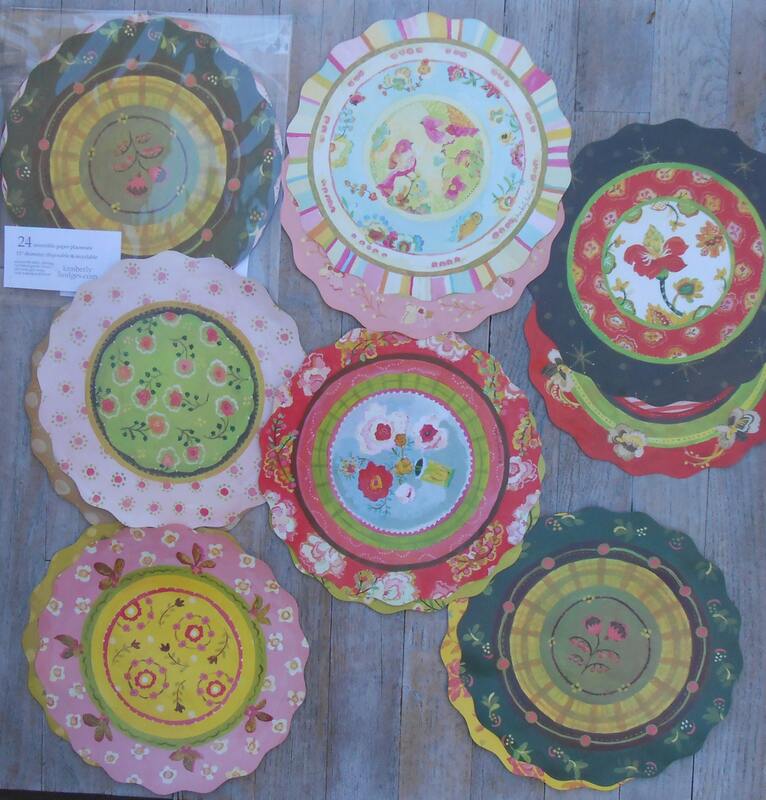 24 Reversible Paper Placemats by Kimberly Hodges. 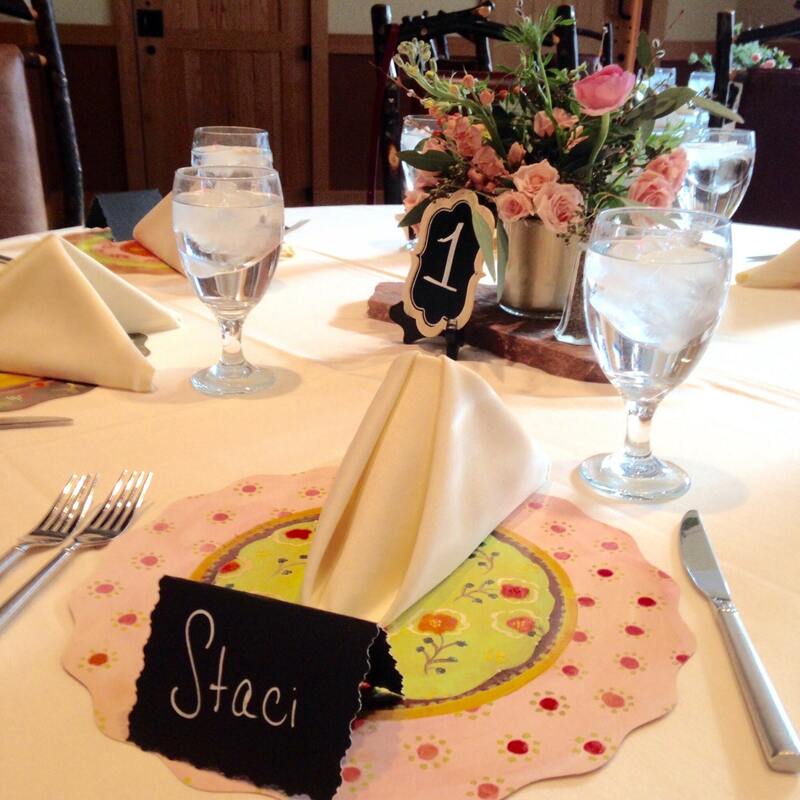 24 coordinating paper placemat set to grace your family, holiday, or wedding table. A generous 13" round diameter. 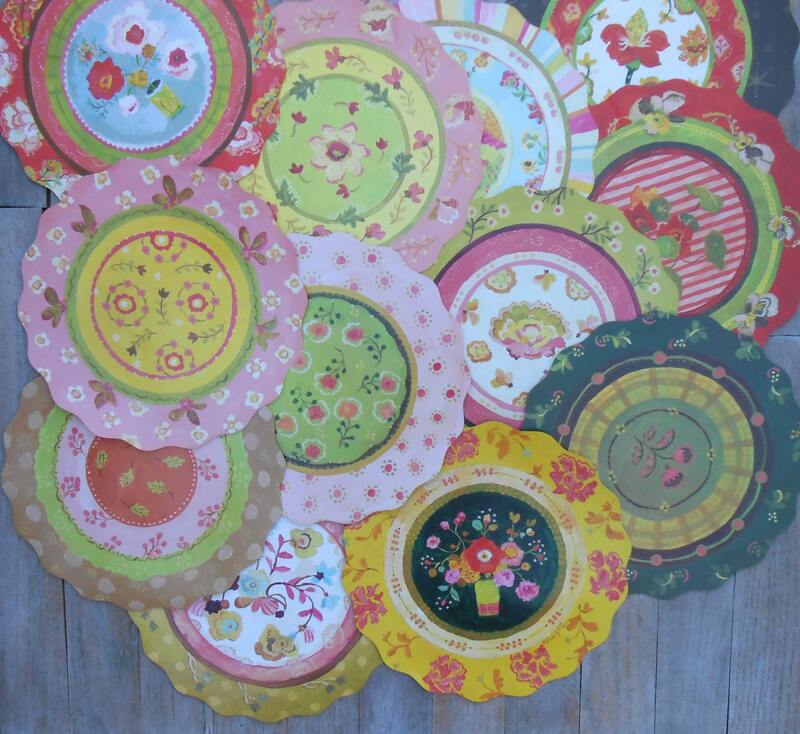 This fun set of paper placemats has 4-6 mats each of various designs with coordinating designs on each side to liven up your table. Each mat can be used 6 or more times, but keep in mind they are not waterproof or laminated. They are printed on heavy paper stock similar to the cover of a magazine so are fairly durable, and of course are recyclable. They have other uses as well so put them to work in your card making, serving up baked goods, using for a lasy susan liner, pet placemats, hostess, birthday, or wedding gift, gift wrapping or packaging, or as scrapbook or photo round frames. 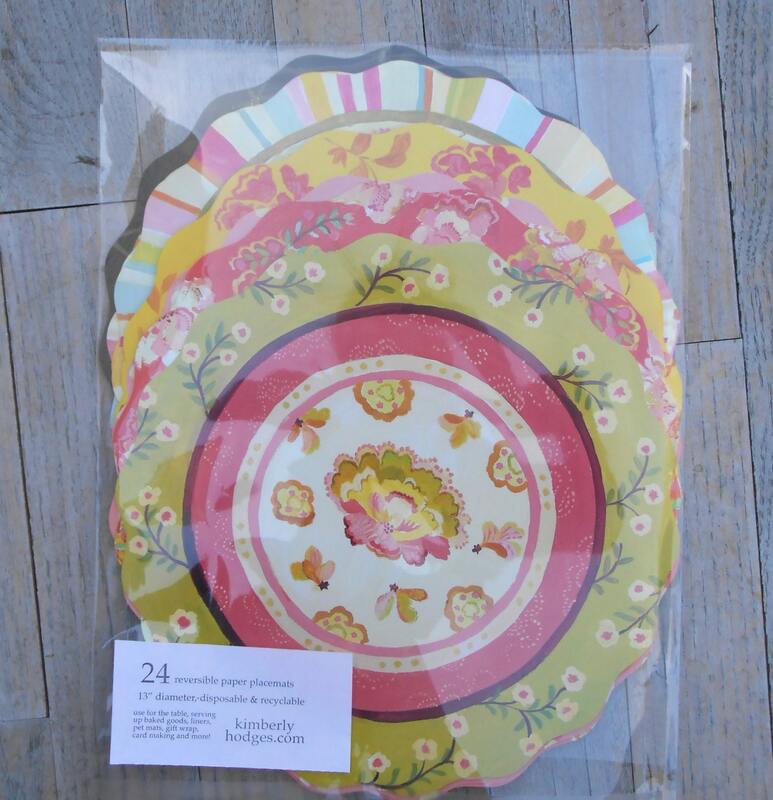 This particular set would make a great housewarming gift, a gift for someone who likes to make cards or scrapbook, or for a colorful hostess. So darling, thank you so much and I love the little gift. Brings joy to any decor. These are really colorful. I use them also under a vase of flowers. So nice! Such fast shipping! Thank you so much!